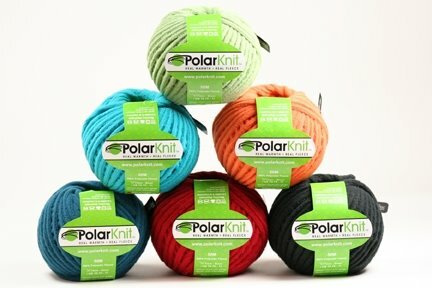 Our order of PolarKnit yarn, 100% polar fleece, is finally in the store. This is a bulky weight yarn that knits up very quickly on US 10 1/2 needles or crochets on a D hook. Price per ball is $8.50. I made this devil hat in about 4 hours. This pattern and many other patterns are available for free at www.polarknit.com. Check them out! with us this past Saturday on the grand ‘ol Mississippi!!….. First, thank you to each of you for the great feedback. The overwhelming feedback is ‘great event, looking forward to next year’! This year’s goodie bags included the yarn to knit the fingerless mitts. Today I learned that the number of ‘butterflies’ is not adequate to complete the pair of mitts. Please come by the store for additional ‘butterflies’ if you want to complete the project. It would be great if you called ahead of time and gave us your color info so we could strive to have the ‘butterflies’ ready for you to pick up at your convenience. >Harry Potter Sock Yarn is Here! > We’ve been waiting and waiting, but finally our shipment of Harry Potter sock yarn has arrived! If you haven’t heard, the Opal facility where the yarn was processed/held had a flood earlier in the year, and much of the Harry Potter yarns were damaged. That not only delayed shipment of all orders of the yarn, but it also meant that each store which had ordered the full line was only able to get 4 skeins of each colorway. Unfortunately we are completely sold out of the Dumbledore colorway. 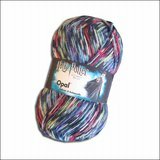 To view a slide show of all the Harry Potter sock yarn colorways, go to this Opal link. The cost per skeins is $25.00. We will not be getting another shipment of any of these colors, so if you’re a Harry Potter fan like me, you’d better call soon!